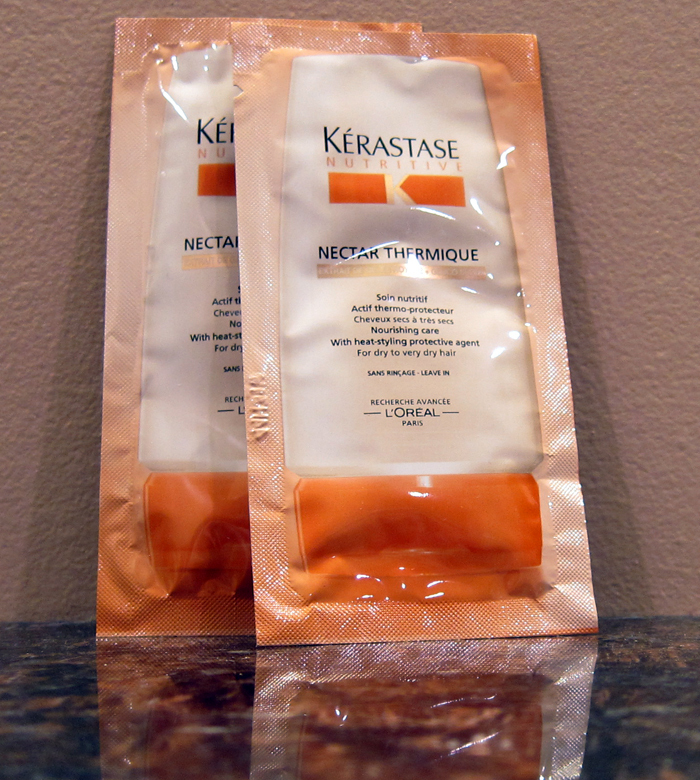 THE SKINNY: Kerastase Nutritive Nectar Thermique - Protect leaves my fine hair silky soft. I assumed it was a conditioning masque, so I applied in the shower after shampooing, left it in for a few minutes and then rinsed it out. My hair was bouncy and soft afterward. It wasn't until I sat down to write this review that I realized this is a leave-in conditioner meant to repair damage from chemical processing and protect hair from heat styling. I giggled and tried again. Oops. My verdict for my fine hair is that it works best as a wash-out mask. A tiny dollop does OK as a leave-in cream, but I get better volume when I wash it out. Regardless, I love that this product includes heat protection, which means one less product applied to my hair. Use it however you see fit for your hair type. KEEP OR TOSS: Keep. Like Kerastase Age Premium shampoo and conditioner, this product makes my hair feel amazing. CHECK IT OUT: Kerastase Nutritive Nectar Thermique does come in a conditioning masque, as well as a shampoo, conditioner and the leave-in treatment.